BARTOW, Fla. — Four out of five Polk County schools selected for random water testing showed positive levels of lead, high enough to be deemed unsafe for drinking or using to cook. Now, prompting a district-wide sweep of testing. Schools affected so far include Cleveland Court Elementary, Winston Academy of Engineering, Inwood Elementary and Union Academy. Polk Avenue Elementary was also tested but came back clear. Union Academy came back with the most hits across the campus, with about three buildings contaminated. 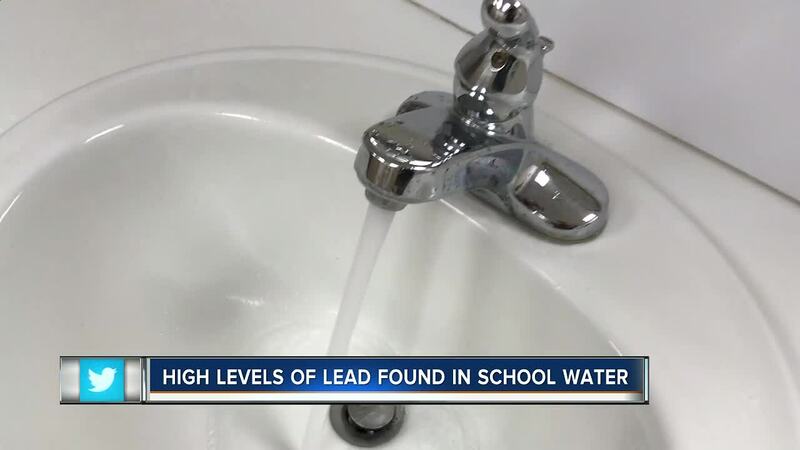 Winston Academy of Engineering had one sink that came back with extremely high levels of lead, over 1,400 parts per billion but school officials say this test could have been off due to the sink being turned off for a long period of time because of a leak. Some parents state that after a policy went out to the school last year, asking students to bring their own personal water bottles to school, they asked their children to steer clear of fountains. “I told my son don’t be drinking the water,” Kevin Kayden, a Polk County parent, said. According to the district, lead or radon testing has not been completed for over 20 years. While it’s not a requirement to test public drinking water, the EPA does recommend it. “There was numerous testing that was done in the 90s, things that were found wrong there were corrected but since then there hasn’t been any testing up until this point,” Roy Luce with the Polk County Schools said. The EPA standards for drinking water is about 20 parts per billion or (ppb). The public school heightened its own standards to 15 ppb. Yet, some schools tested as high as 25 times that amount in dormant sinks and fountains inside the classrooms. The school says drinking fountains and sinks that were flushed more often came back clean. “That would be a cause for concern,” Kayden, a parent said. 150 schools district-wide will be tested between September and the end of December. The schools say testing costs between $800 and $1,000 for each school. A total cost of about $150,000 across the county. This cost does not include the amount it could take to replace fixtures or piping that are found to be problematic. “We are making every assurance to have everything tested to make sure that the water being provided is safe. And if we have readings that read otherwise that we are taking corrective actions through repiping, through exchange of fixture…or providing bottled water,” Luce, said. The school will begin testing the oldest schools and working forward from there. One of Polk County’s oldest schools, residing in Haines City was built in 1914. 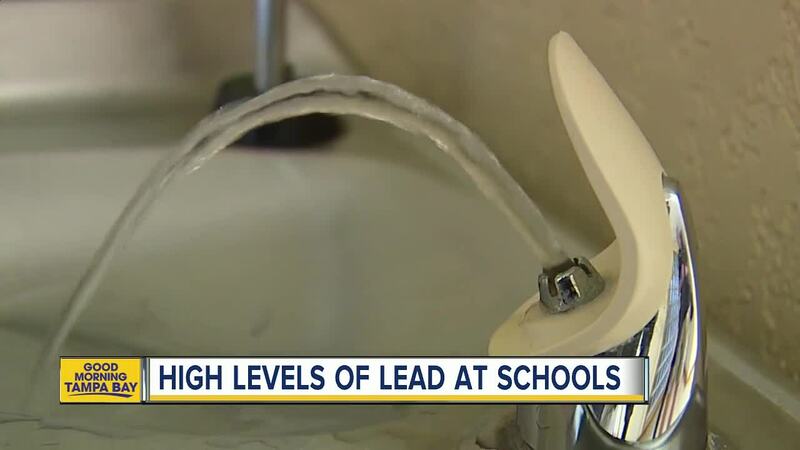 The school claims the older the school, the higher the risk for lead because of a safety law passed in 1986. The district expects testing and results to be complete by early 2019.
Corrections will be made as results come back. This link will be updated with current results and actions as they are found.